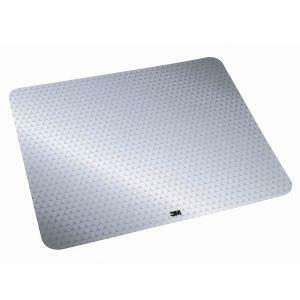 Designed for use with optical mice, this 3M™ mouse pad is ultrathin and durable. Its precise surface enhances optical mice precision to a great extent. It features a battery saving design and extends the battery life of wireless mice by up to 50%. This mouse pad is portable and easy to carry as it has repositionable adhesive to stick it to the back of a notebook computer.